We’re in the last couple days before the new baby boy arrives and we’ve have had fun doing all the baby preparing over the past few months. One of the most important items on my list was the car seat. When Poppy was a newborn we had a hand me down Maxi-Cosi infant seat that we loved, but since then it has expired, so we were in the market for a new infant seat. 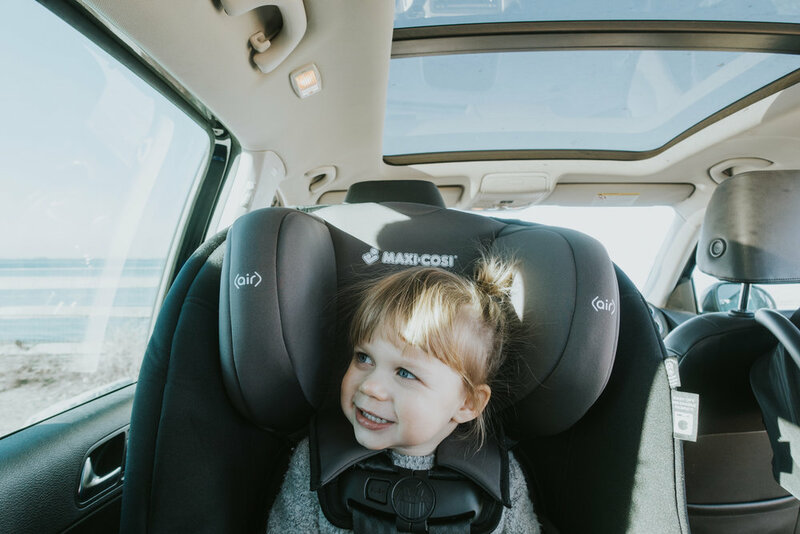 I knew I wanted another Maxi-Cosi because I’m a bit of a car seat freak ( that annoying friend that will adjust your kids chest strap if it’s not in place). 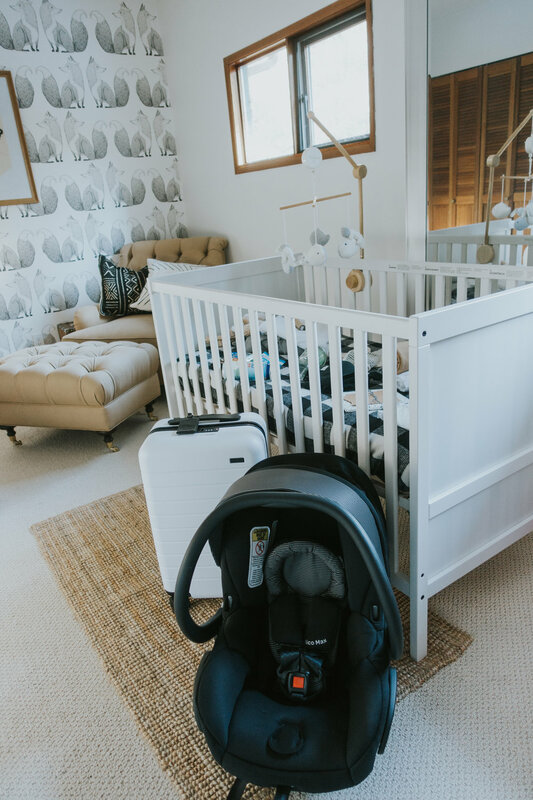 The Maxi-Cosi Mico Max 30 is what we went with for this baby. 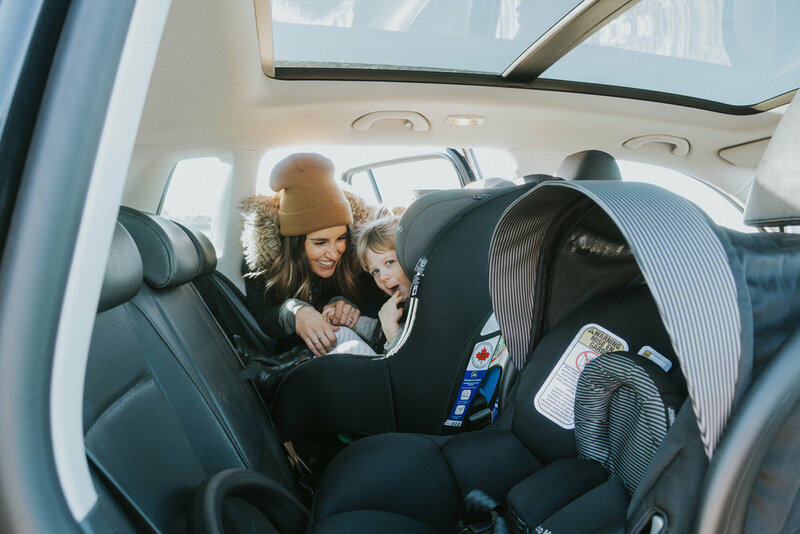 My favourite things about it are the Air ProtectTM superior side impact protection to protect their little heads, that it is the lightest weight premium infant car seat in its class, the Cozi-Dozi insert adds extra support for baby’s head and neck of smaller babies, and of course all of them look so nice and sleek. 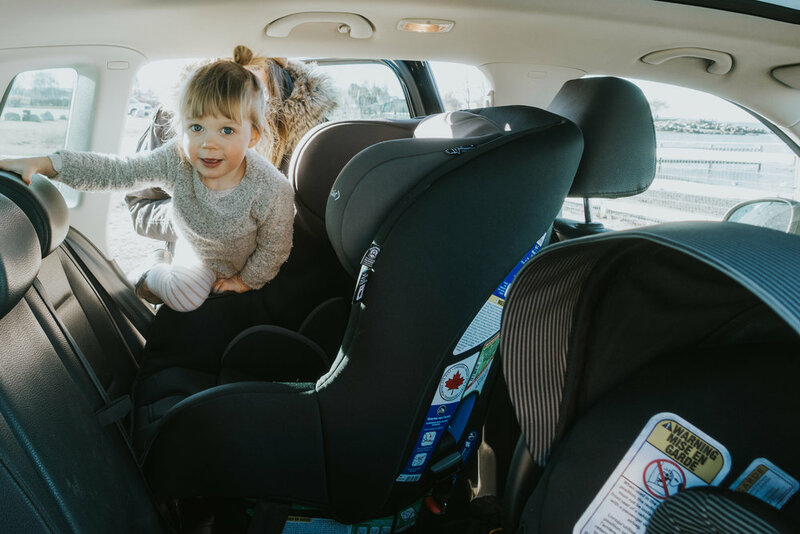 At the same time we also upgraded Poppy’s convertible car seat to the Maxi-Cosi Jool. 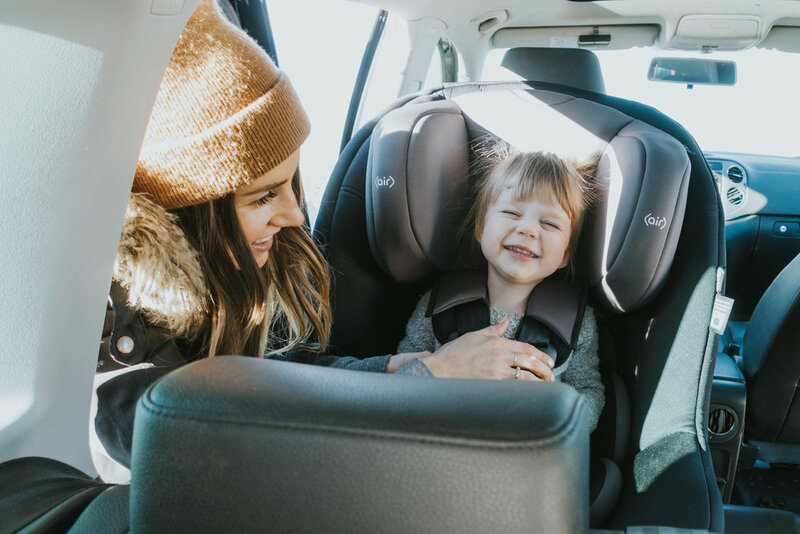 She originally had a “big kid car seat” by a different brand but we weren’t happy it, we wanted to get something that we felt was safer for our precious cargo and we are loving this one. Poppy was SO excited to go test drive the new seat. Weird to see two car seats back there now, We’re a full load! Poppy is 3 and still rear facing. 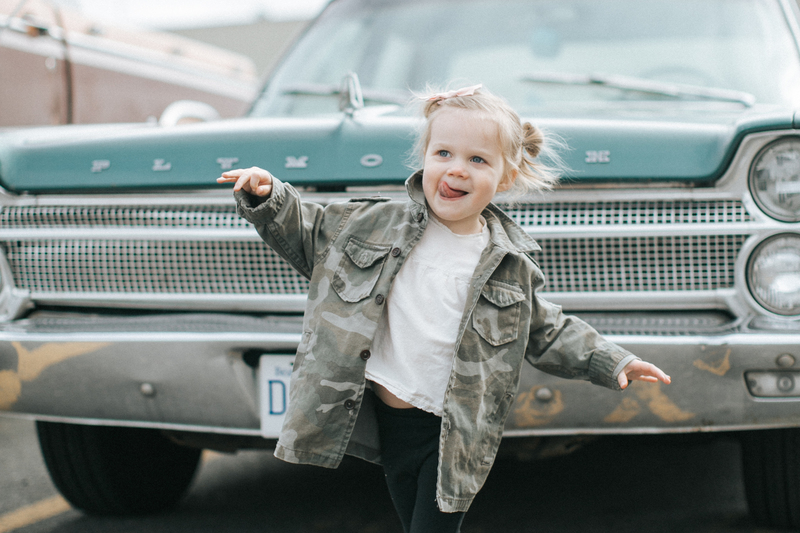 It is the safest position for kids, so since we are able to make it work with her weight we will keep her rear facing as long as possible. Suitcase from Away, Wallpaper by Anewall, Throw cushions in nursery by Ebb and Thread. Great list, what a cutie pie singing. Careful with the peppermint halo after birth. Peppermint can decrease breast milk. Oh gosh! 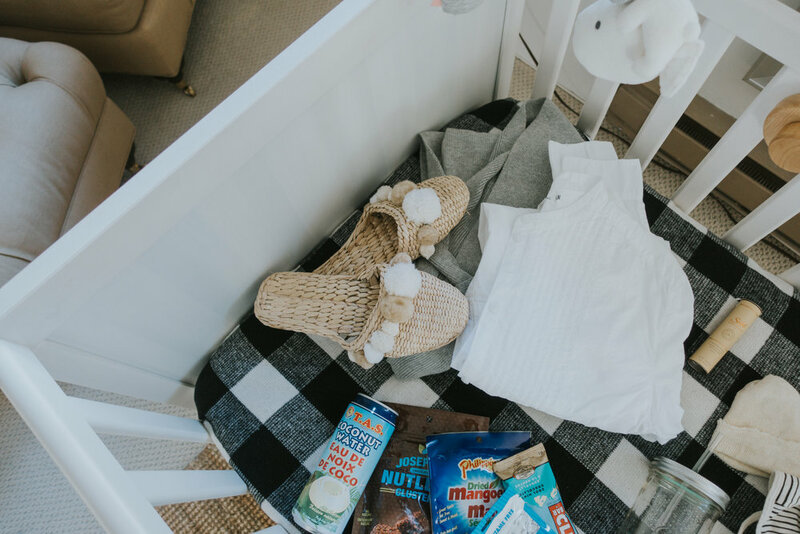 My youngest babe is four months old today and this post is making me super nostalgic!! I LOVED planning and packing my hospital bag – the excitement and anticipation!! I wanna do it agaaaiiiinnn!!! I am so glad to hear I am not the only one that fixes the chest clip and straps and other people’s car seats! Love that she is still rear-facing! You’re such a great mama! Hy Bethany! Congrats on healthy baby boy! 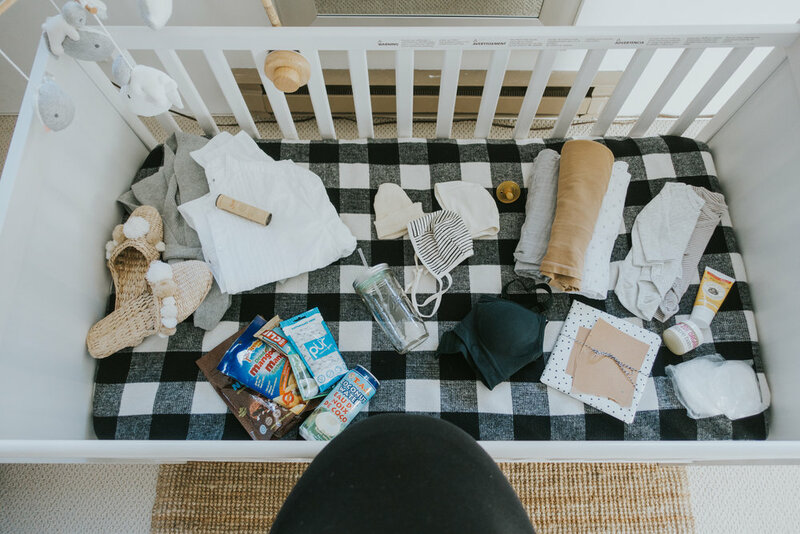 I was wondering if you could do a post about baby clothes and other stuff you’d need to buy before having a baby. Thank you so much in advance! Hi Bethany. I’m in the market for a convertable as my babe has outgrown his infant seat. Would you recommend the jool? I’ve heard it is quite big and bulky. Do you find that? Thanks for the advice and tips! I’m sure you have their best intentions at heart, but do you ever worry about violating your children’s privacy when you post so many photographs of their lives on the internet without their permission or consent? Do you ever wonder how Poppy or Skipper will feel when they are older? A part of me also feels uncomfortable when I see parents posting pictures of their children while also seamlessly advertising products or brands. Do you ever feel like you are taking advantage of your children by using images of them to advertise different products? 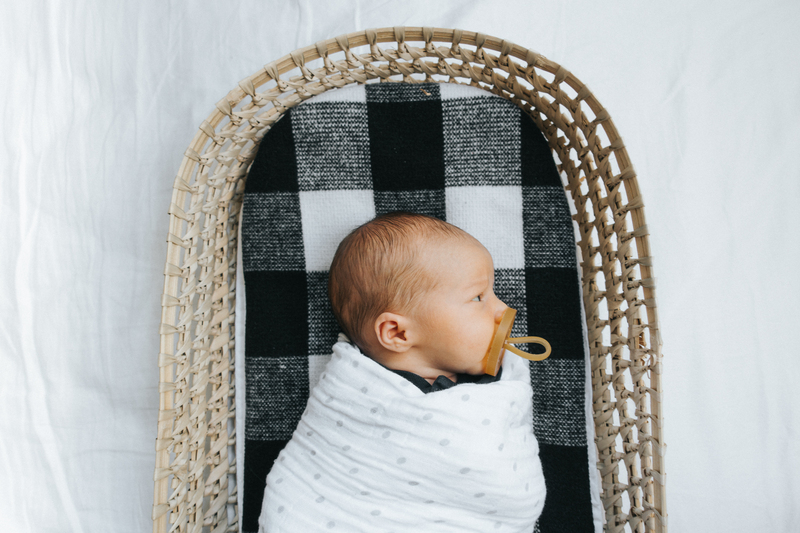 Don’t you ever just want to put the phone down and stop worrying about what to post next so you can put your attention fully to your children, especially your newborn? I’m really not trying to be mean and I can completely respect and understand you wanting to make some extra money while being a full-time mom through advertising and product placement, but does this every bother you? I would love to read your thoughts on this subject. Where is your crib mobile from? I’m having a hard time finding a nursing bra that works for my petite frame – any recommendations? And I love the gift idea from Poppy! I’ll have to remember that for when we introduce our son to any siblings. Very sweet! 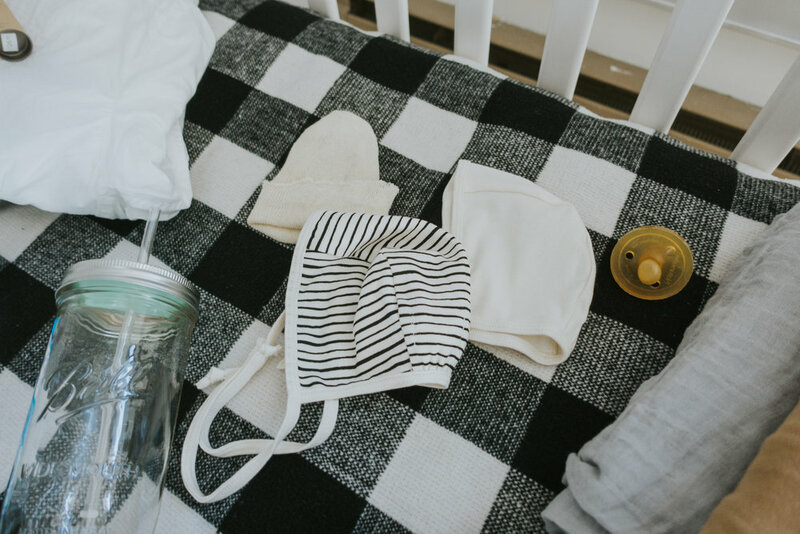 Just found out I’m having a C-Section – anything you wish you’d brought that wasn’t on your list? Congrats on baby Skip, he’s so cute! I really like your turn style in your baby room, where did you get that from?